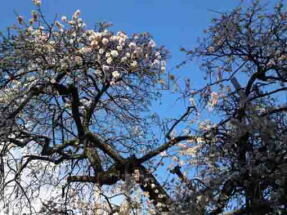 In general, the word 'ohanami' implies 'seeing sakura blossoms' in Japan. 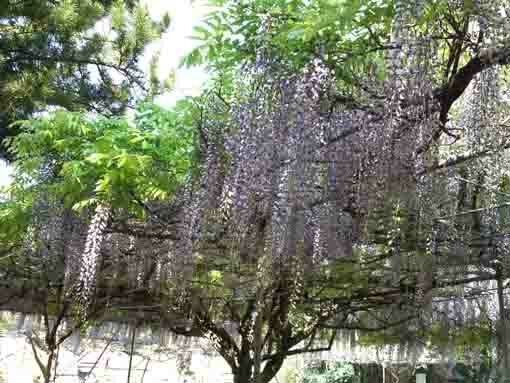 But blossoms of plums, wisterias, roses, irises, lotuses are also beautiful. 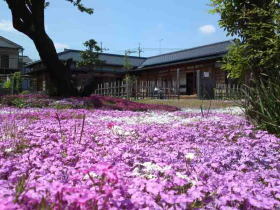 The city's flower of Ichikawa City is a rose. 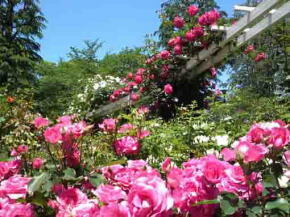 There are many parks having rose gardens in it in the city. 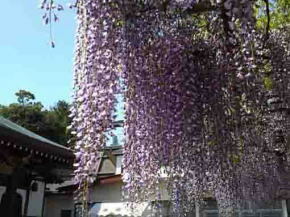 In addition, some temples have large wisteria trellises in them. It is excitingly wonderful for walking on the city to see seasonal flowers. 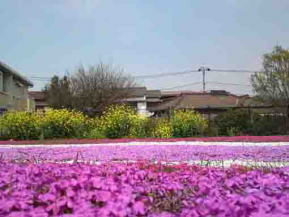 Some beautiful flower gardens in Ichikawa City are introduced in this page. Why don't you visit them? 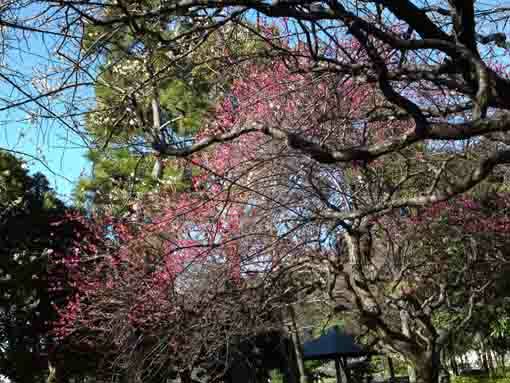 In Edo period, the word 'hanami' had implied seeing ume blossoms. 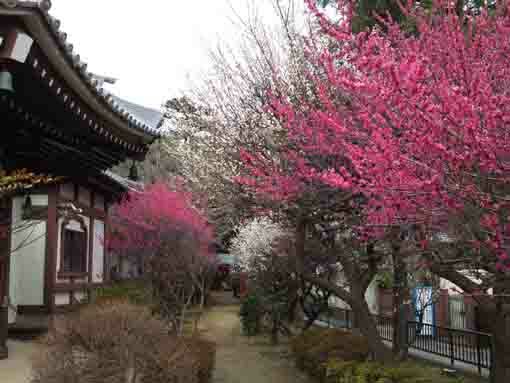 And ume trees have their fruits on them, therefore, sumrais had loved ume trees to plant in their residences since they could be their food when they would have battles. Moreover, accordking to 'Danchotei Nichijo' the diary of Kafu Nagai, a famous writer early Showa Era, he had walked around Ichikawa city and others to search for ume blossoms to search for the spring. He loves ume more than sakura blossoms. Umes start blooming little by little from the middle of winter, so people could know that spring is coming. 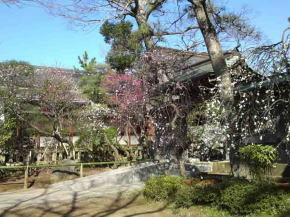 Ume blossoms blooming under the blue sky are politely beautiful. 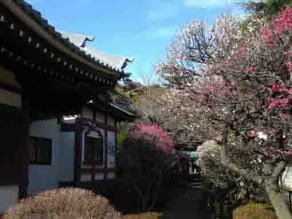 Why don't you visit them to see ume blossoms with heavy clothes on? 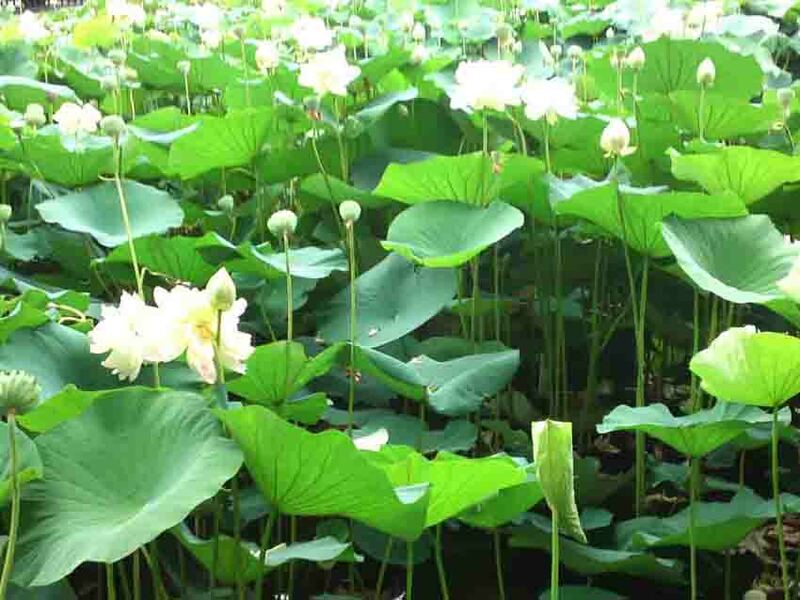 You could enjoy seeing many kinds of flowers in Ichikawa city. Guo Moruo Memorial Park has beautiful carpets of moss phloxes. 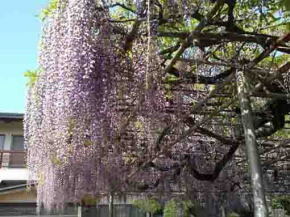 Koenji and Shogyoji Temple have their huge wisteria terils in them. 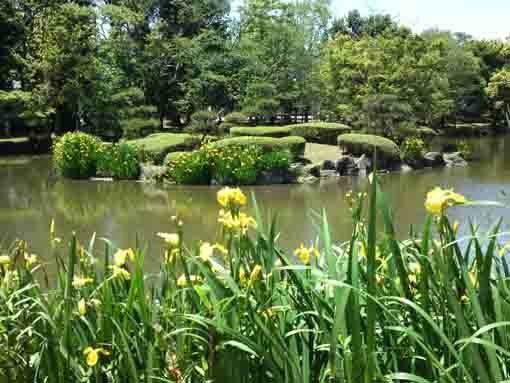 Yellow irises in Junsaiike Pond Park are pritty, and rotus flowers in Nakayama Hokekyoji Temple are elegant. You could enjoy seeing them in each. Why don't you visit them? 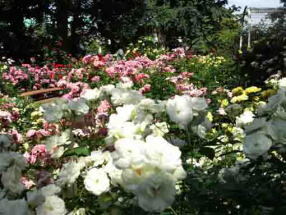 The city flower of Ichikawa City is a rose. There are many large and small wonderful rose gardens in the city. 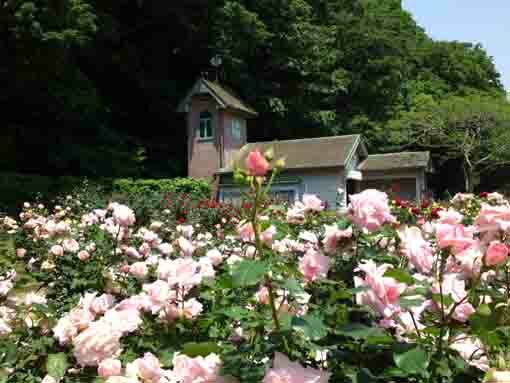 Oomachi Nature Observation Park has the largest rose garden in the city. Next one is in Satomi Park. 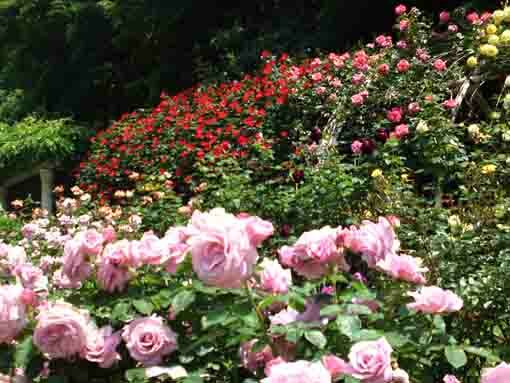 And Suwada Park, Oosu Bosai Park, Hiroo Bosai Park and so on have their rose gardens in them. The roses bloom in both early summer and fall, they could show some unique views in each season, they bloom very strong as to compete with the sun light in summer and they color on autumn views in fall. They are very beautiful. Why don't you visit them in each season?